"Remembering is painful, it's difficult, but it can be inspiring and it can give wisdom." This is Dawn this week. Mother nature sure has wreaked havoc all over lately! Last Thursday Tropical Storm Lee dumped rain (among other places) in Pennsylvania creating historical flooding. Mark dropped everything and went to help his mother who's house is on Lycoming Creek outside of Williamsport, (leads to the Susquehanna river) and was flooded. The main part of the house is OK, but the basement got completely flooded (electric, water heater, furnace etc) as did the garage and storage trailer on the property, they were without power, phone and the water is contaminated. Friends have been very generous helping with the clean-up, providing food and offering their homes to take showers in. Flood mud and debris are everywhere- however it could have been worse. Mark sure has had his share of hard labor recently. Mark drove his truck rather than the motorhome as he wasn't sure what he would encounter making his way up. I stayed home with Tyler so he could stay in school. My thoughts are with everyone who has suffered loss from these horrific storms. So I am not sure whether Mark will be able to make it to the Hershey 2011 PA RV & Camping Show as he had planned (it is not too far away from where his mom lives). The show promoters said that the local flooding did not affect the show space, so it is up and running. The Hershey High Meadow Campground is closed however at least until September 25 due to it being completely flooded. Also, the season finale of "Mark's RV Garage" is on hold for now. As we all paid tribute yesterday to the 10 year anniversary of the September 11 attacks there was a question: "Do you know where you were on 911"? Mark & I were driving across the bridge in Harrisburg, PA headed for the local Duncan Donuts (my favorite) to celebrate my birthday before heading to the 2001 PA RV & Camping Show where we had a booth set up. I was on the phone with our friend Dave Newhouse (former owner of Pop-Up Times) who was wishing me Happy Birthday before meeting us at our booth that we shared at the show- when the first plane and then the second hit, Dave gasped and I couldn't quite believe what he was saying to me as he watched it unfold over the TV. Later that morning as we all stood around glued to the little TV in our booth, we learned that flight 93 had just crashed not too far from where we were there in Pennsylvania. Shock and fear quickly spread through-out the building. Then a flower delivery guy arrived at that moment and said he had a special delivery for me....Mark had ordered a big huge boquet of flowers for my birthday..how awful to try to be happy when there was such sorrow! I will never forget that day- or our heros- or the tremendous loss suffered- or how my heart felt as I saw thousands of American flags as America pulled together! May we all remember, and let the good rise from it creating inspiration and wisdom. 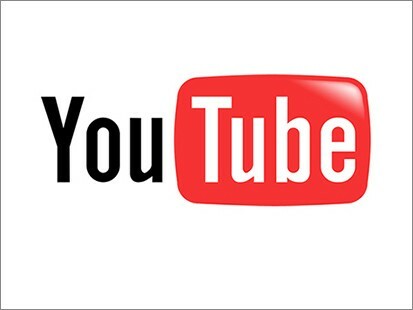 I was inspired and uplifted by the song Amazing Grace that I heard yesterday, so I posted the video below...the middle of the song is just that, amazing! 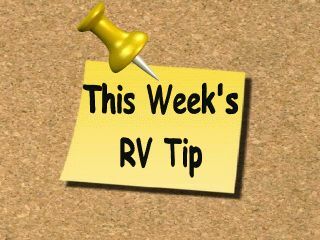 As Mark always says: Until next week, plan your trip, travel safe and enjoy your RV experiences. Remember, getting there is half the fun! Most U.S. States and Canadian Provinces ....... have their own laws on the requirement for brakes on a towed trailer or vehicle being towed behind a motor home. 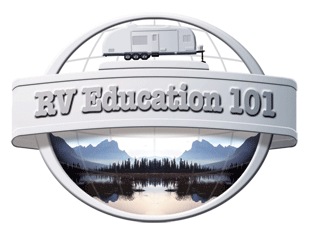 The brakes on a motor home are designed by the vehicle manufacturer to stop the weight of that particular vehicle, not the additional weight being towed behind it. This additional weight adds a substantial increase to the distance required to stop safely. You need to have some type of braking system on the towed vehicle to SAFELY reduce the stopping distance and to protect you, your loved ones and the safety of others. 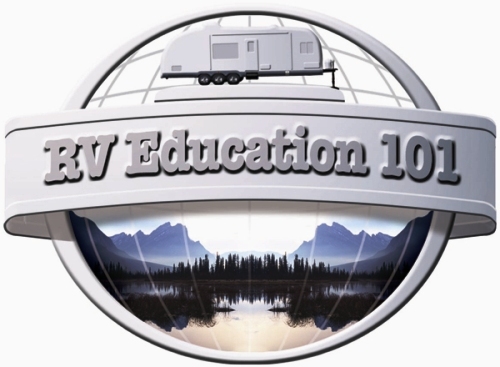 RV generators are extremely dependable and in many cases will out last the RV if they are properly maintained and cared for. They do not require your constant attention, just some basic maintenance. The first thing you need to understand about maintaining your generator is that they need to be exercised on a regular basis. This applies to gas and diesel generators. 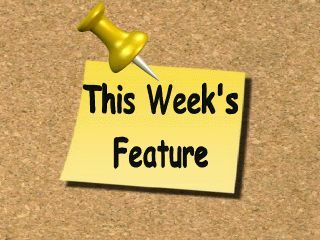 Gasoline generators could have fuel related problems in as little as one month of sitting idle. This is one of the biggest problems, but it can easily be prevented if you get in a habit of exercising the generator on a monthly basis. 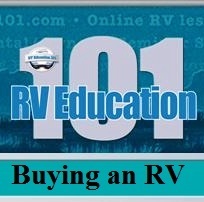 Mark Says: Congrats on your first motorhome, I know you will enjoy it. 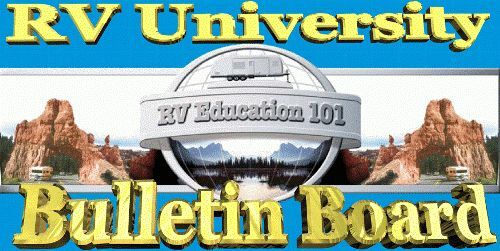 We offer a DVD on winterizing and storage, but if you can do without the visual part of it I also offer an article on winterizing at our sister site, RV University and there is a spring preparation article there too. 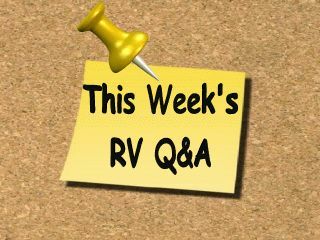 Q.We go snowmobiling in Maine with my toy hauler. This year I have a new travel trailer. This is the first trailer I've had with slide outs! Last year I had a Gear Box with no slide outs and we got lots of snow! My question is about snow on the slide out roof when it's time to pull them back in? Mark Says: I used to snowmobile all the time as a kid growing up in Pa., now I'm lucky if we see snow in NC. Snow on the slide out is a common problem when camping in the winter where it snows a lot. The answer is you need to clean as much snow off of the slide out roof as you can before bringing the room in. Anything left on the roof ends up inside the RV. If the slide out has a slide topper (awning) over the roof you will probably need to clean it off more often to prevent any damage to the awning fabric caused by heavy snow. Q. Hi, I saw an article you wrote on a site about roof care. we have a 1989 5th wheel trailer, how do we know what type of roof it is??? We have no books on the camper..........my husband looked up there and said there is some cracks, he just doesn't know how to fix them. Also, this past weekend, he opened the door to the fridge and was overcome by gas...........we are assuming its freon...........we only use this once a year to go to the fair.......when we went this year, the fridge wouldn't turn on when plugged in....someone we know hooked it up to the gas tanks in back and it worked fine............we brought it home and plugged it in electrically and it was working then this gas started to leak, he has opened both fridge and freezer to air it out. Now he is going to remove the fridge as we bought a new small one at walmart to just plug into the outlet.... can he safely remove this fridge if the gas has all escaped....... thanks for any help you can render..........I am going to sign up on your site to get the newsletter, I think it may help us out. Mark Says: Your roof could possibly be covered by aluminum, rubber or fiberglass sheeting. You should be able to tell what it is by examining it closely. 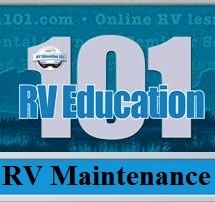 Once you determine what it is ask you local RV dealer for a sealant that is compatible with the roof covering. The smell you are smelling from the fridge is ammonia. When the cooling unit gets a leak you will smell this. It is okay to remove the refrigerator, but make sure the LP gas line going to the refrigerator is properly plugged and sealed off to prevent the possibility of a gas leak when you turn the gas cylinders on again. 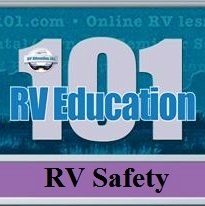 It needs to be tested for gas leaks by a qualified RV service center after working on the LP gas system. 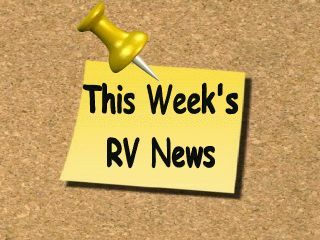 America's Largest RV Show is OPEN! 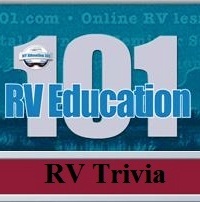 This play and learn crossword puzzle is "RV Safety by Mark J. Polk". DirecLink - ActuLink - ActuLink ABS Module A Complete System with each Component Linked Together by a Digital Control and Diagnostic Network. The systems of your tow vehicle don’t work independently of each other. Network computer control systems link them so they work seamlessly together. Why would you want the brake system of your towable working in isolation from your tow vehicle? Vehicle control networks have evolved into powerful and flexible systems. It is this technology that has paved the way for a revolution in towable braking systems. The DirecLink Network-Based Towable Brake System is the new standard. Kodiak Trailer Components was established in December 1989, as a manufacturer of products for boat trailers. The product range has varied greatly during our evolution, but since 1994, Kodiak has been the leader in developing hydraulic disc brakes for the trailer industry. Kodiak's product line now includes multiple options to select from, with disc brake sets ranging from 2000 lb. axle sets through 10000 lb. axle sets. Our customers represent all types of trailer manufacturers including marine, RV, horse, commercial/industrial, cargo, and even certain operations from the military. The automotive industry converted to disc brakes for good reason. Specify Kodiak disc brakes on your next trailer, you'll be glad you did! Stromberg Carlson Products Inc: Charlie and I (Robert) are the third generation in the business(RV Product Accessories). We have scraped knuckles making proto types, and traveled the roads to meet with customers in their back yards. At our facility we talk about ISO-9000, CNC Machinery, Capability Studies, and developing reliable manufacturing systems. But on the road we talk to our customers about their goals and their vision, what lies ahead for them over the next five years. Until we understand what lies ahead for our customers we can not orchestrate our business. Serving your needs is the only way we can achieve success. Then the secret is to never stop chasing the needs of your customers. How can we help you today to be successful tomorrow? 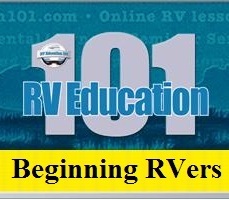 RV accessories such as electric tongue jacks, scissor jacks, hand rails and much more.. The Original Equal-i-zer® Sway Control Hitch with 4-Point Sway Control™, helps the driver be in control and the passengers be at ease. It has been specially designed to tackle the three biggest problems found with conventional trailer hitches: trailer sway, weight distribution, and complicated hook-ups. We continually strive to move forward and be innovative in all our activities. Episode #14 of "Mark's RV Garage"
Episode #15 of "Mark's RV Garage"
Episode #16 of Mark's RV Garage"